The staff was very nice and friendly, the office was welcoming and the wait wasn’t long. Dr. Igor chernyavskiy was thebest and very experienced. The staff was very nice and friendly, the office was welcoming and the wait wasn’t long. Dr. Igor chernyavskiy was the best and very experienced. Dr. Igor Chernyavskiy is a respected physician and teacher, who graduated Medical School in 1987. He joined Stony Brook University Medical Center and the Department of Veterans Affairs Medical Center at Northport as a faculty member in 2002. Currently he balances his time between treating patients and teaching residents and fellows at Stony Brook University Hospital (SUNY). He recently was appointed to be Chief of Pulmonary and Critical Care at VA Hospital at Northport. He also leads an extensive private practice in Pulmonary and Sleep Medicine in Brooklyn, which was established in 2004. Dr. Chernyavskiy has received numerous awards and has held many appointments at several hospitals and medical associations Dr. Igor Chernyavskiy is board certified in internal medicine, critical care, pulmonary medicine, and sleep medicine. He is a member of the American Medical Association, American Thoracic Society, and a Diplomate of the American Academy of Sleep Medicine. Dr. Chernyavskiy's scientific work, specific research interest in COPD, interstitial pulmonary diseases, and sleep disordered breathing problems, has been published in peer-reviewed medical journals. Dr. Igor Chernyavskiy is well respected among his peers and patients. He is compassionate about his work and is committed to improving the health of his patients. Pulmonary & Sleep Disorders of New York, P.C. 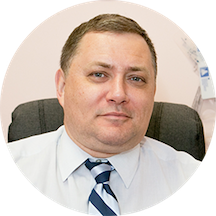 Dr. Chernyavskiy is board certified in pulmonology by the American Board of Sleep Medicine . Great doctor. Warm, attentive with a great staff! Will comeback. it is always a pleasure to see Dr Chernyavskiy. Dr. Chernyavskiy himself was very nice and pleasant to talk to. However, with most practices, its always the other staff that make the visit anything but great. I came in with breathing problems so I was seen first by a technician.He was talking on the phone when I came in and had me waiting for about 10 minutes. He apologized but nonetheless, should of sped it up. The whole process was very mechanical and robotic like and after I was done I had to wait again to see Dr. Chernyavskiy for him to interpret the results to which he told me nothing was wrong. He then told me to do an allergy test to which I agreed. The girl administering the allergy test was definitely not a doctor and I'm not sure if she was even a technician or technically allowed to be administering these tests. The test took 30 minutes and after I asked her what she was looking for on my skin that indicates an allergy to which she responded, " I'm looking for allergy." I was sent to see Dr. Chernyavskiy after the allergry test and he interpreted the results as having no substantial allergies that could cause my breathing problems. He prescribed me medication and told me to come back in 30 days. I consulted my primary care physician and took the same breathing tests to which there were different results. Based off this, I did not make a second appointment to see Dr. Chernyavskiy and decided to consult an ENT instead. Overall, the doctor was very nice and concerning but the trust wasn't there. Dr. Chernyavskiy was thorough and pleasant. The reception staff were very nice. Dr. Chernyavskiy was good and thorough with his diagnosis. But his assistant who had me take the Breathing Test - TERRIBLE!! Because of him, I hadn't paid ahead of time when I first came to the office, I would've cancelled the appointment right there and left. He is a very professional, listened to me carefully and checked me very well???? Excellent doctor and very knowledgeable. Explains everything to his patients and the staff are great people. The consultation was very nice and informative, definitely not rushed. Doctor listened to all my problems and complications. Great Doctor and very knowledgable. He has been my doctor for over 2 years and I have not had any issues. He was very thorough and professional and he spent what is an extraordinary amount of time with the patient, considering today's healthcare environment of "fast track in and out". He explained everything in layman's terms in a personable and easeful manner. I highly recommend him. Good office... Doc was receptive and friendly. Staff was busy but process was smooth. Very knowledgable and good Doctor. Wait time is longer than most. Very good visit. Didnt find the answer I was looking for but quick wait and very good bedside manner. You can tell Dr. Igor knows what he's talking about because his office was full of patients waiting to see him. he's very knowledgeable and listens to your concerns and gives you a remedy for the problem. Everyone in the office was nice and courteous. The person who did the breathing test gave me clear instructions and was very patient and understanding. The doctor was professional and thorough. He is very knowledgeable, took the time to findout all the pertinent details about my symptoms and medical history, did a thorough physical examination, and explained everything in a way that I was able to understand. He is honest and will not give you medication unless you really need it. He cares about helping the patients. He was very good fast and interested in my health and took his time 2 explain everything 2 me properly and made I understood everything about what was going on. From beginning to the end my experience was pleasant and professional. Friendly staff, but a long wait. I took a cab to get there on time, and still waited over an hour. The doctor is pleasant, straightforward, and seems willing to work with a patient to solve problems. The staff was friendly but the doctor was awesome! He was very friendly and easy to talk to and he answered all my questions and listened intently to everything I had to say! I must say it is rare to finda Dr. these days that really cares about what you have to say. He was very honest and informative. He is a rare find! Walked in, filled out paperwork, payed copay, took breathing test, saw doctor, got prescriptions and was out the door! He was fast but yet took the time to hear me out...receptionists were great also fast and efficient! I will definitely go back. Everything went great, the experience couldn't be better. I walked in, signed 2 papers, 5 minutes later I was invited to do a lung function test, another 10-15 minutes afterwards - I set down with the doctor (keep in mind, therewere 3-4 people ahead of me when I walked in). He explained to me everything clearly and with examples, visualizing it on his wall pictures, everything made sense, my questions and concerns were addressed right away. I was highly satisfied. It was a pleasant visit. Didn't wait to Long to be seen. Dr Chernyavskiy was great. He was efficient and nice. Listened to what I was saying and made sure to ask all necessary questions. Dr. Chernyavskiy was the first sleep specialist I had ever seen, and he was very thorough in listening to my issues that I have been experiencing with sleep for the past 6 years. While we ultimately decided that a sleep specialistwas not the type of care I needed, he did point me informatively, politely and quickly to other areas that will help me handle my anxiety that affects my sleep on a semi-regular basis. I also appreciated that he is not the type of doctor to unnecessarily prescribe medication or substitute a pill for positive behavioral change. He really made me feel like he had my best long-term interests in mind, and I appreciated that. I'm very happy with Dr.Chernyavskiy, I arrived 20 minutes early expecting to fill out papers, the staff was great they got me through the papers right away. I waited almost 10 minutes and a tech called me for a breathing test,best breathing test I've ever been through. After test went back out for about 10 more minutes and saw the Dr. He was very nice, as well as thorough in his exam and questions on my current condition and history. I'm very pleased with this Dr.